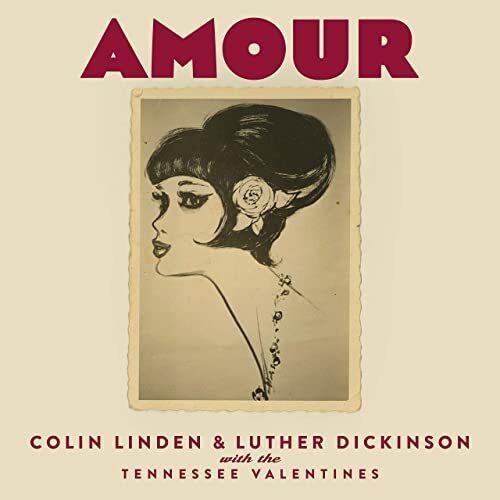 Just in time for Valentine’s Day, Stony Plain records has scheduled a February 8th release for Amour by acclaimed guitarists Colin Linden & Luther Dickinson with The Tennessee Valentines. Guitarists Luther Dickinson of North Mississippi Allstars and Colin Linden of Blackie and the Rodeo Kings have joined forces for a new joint project, Amour. They are backed by “The Tennessee Valentines,” with Dominic Davis on bass, Brian Owings on drums, Fats Kaplin on violin and accordion, and Kevin McEndree on keyboards. Linden produced the album, whose tracks touch on a wide range of genres while still serving as an Americana record. Dickinson and Linden also recruited a handful of Nashville talent for the guest vocals, including Billy Swan, Rachael Davis, Ruby Amanfu, Sam Palladio, and Jonathan Jackson.